EXTREMELY MOTIVATED SELLER. 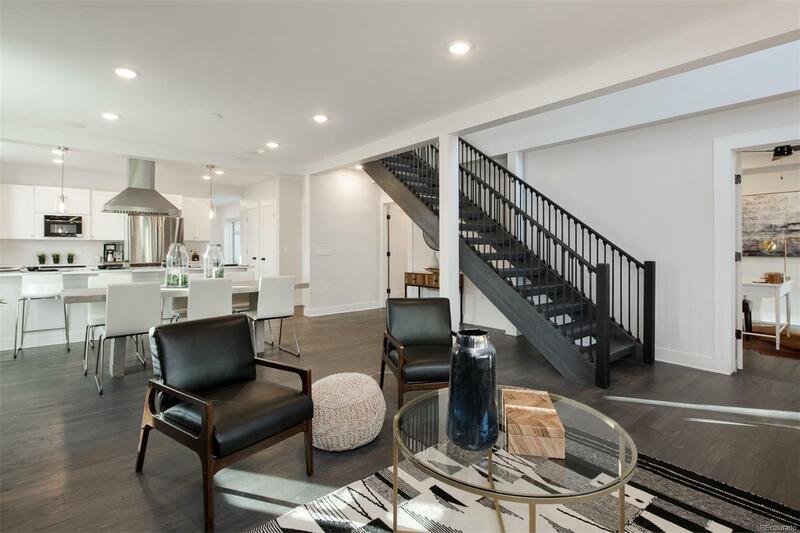 Completely rebuilt modern masterpiece in Congress Park w/ separate studio for potential rental income, next to 9th & Colorado redevelopment district. Grand, E facing entrance w/ a sophisticated open layout in this futuristic Smart Home w/ app-controlled LED lighting, Kohler "touchless" toilets, Bluetooth speaker systems, USB outlets, wireless garage control, phone controlled sprinkler system & more. Great rm opens to oversized kitchen w/ wine fridge, Quartz c-tops, dbl pantry & Bluetooth controllable appliances. 2 BR on main floor w/ a sophisticated 3/4 BA & laundry room w/ new w/d. 3 additional BR upstairs each w/ their own outdoor deck & full BA. The master suite is a work of art, flooded w/ natural light & designed as a sophisticated retreat. Garage is oversized w/ rm for 2 cars + motorcycle bay, Tesla compatible charging station & workspace. New permitted electrical/plumbing/sewer line/garage/mechanicals/commercial tankless h20 heater.